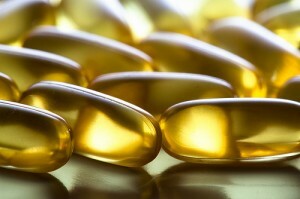 Q. What’s the difference between fish oil and cod liver oil? Written by Catherine Saxelby on Tuesday, 08 October 2013. Fish oil and cod liver oil are two different oils even though they both come from fish and have a similar fatty acid profile. Fish oil is extracted from the flesh of tuna, herring, cod and other deep-sea oily fish species. It’s rich in omega-3 fatty acids such as EPA and DHA but doesn’t have much vitamin A or D.
Cod liver oil comes from the liver of the cod fish. It has less omega-3s but is very rich in vitamins A and D. It was routinely spooned out to children in the 1960s as a source of vitamin D in northern Europe where sunlight is limited during their long winters. And it may return to fashion again given the increasing reports of borderline deficiency of vitamin D now appearing. Some people take cod liver oil in winter when they spend less time outdoors so don’t make their own vitamin D from sunshine, then switch to fish oil in summer so as to not take in more vitamin D than they need. If you like numbers, cod liver oil contains less EPA and DHA (around 8% EPA and 10% DHA) than fish oil (at 18%EPA and 12%DHA). If you’re pregnant, too much vitamin A can potentially cause birth defects so it’s one vitamin to watch so as not to overdose. So to be on the safe side, stick to the safe upper limit of 10,000IU (3000mcg) per day – cod liver oils carry a warning about not exceeding this limit during pregnancy and breastfeeding. 2,500IU (750mcg) Vitamin A which is the entire day's recommended intake for women but under for pregnancy and breastfeeding (the RDI is 700mcg for women rising to 800mcg during pregnancy and 1100mcg when breastfeeding – see below). 320IU (8mcg) of Vitamin D which is more than the day's intake for adults aged to 50 years (which is 5mcg) and half that of people over 50 (which is 15mcg). So if you're pregnant, stick to their suggested 4ml teaspoon a day (or other label intakes) and you'll be fine. mcg stands for micrograms which are one-thousandth of a milligram. IU stands for International Units. Q. Are fish oil capsules safe if I'm allergic to fish? If not, how do I get omega-3s?